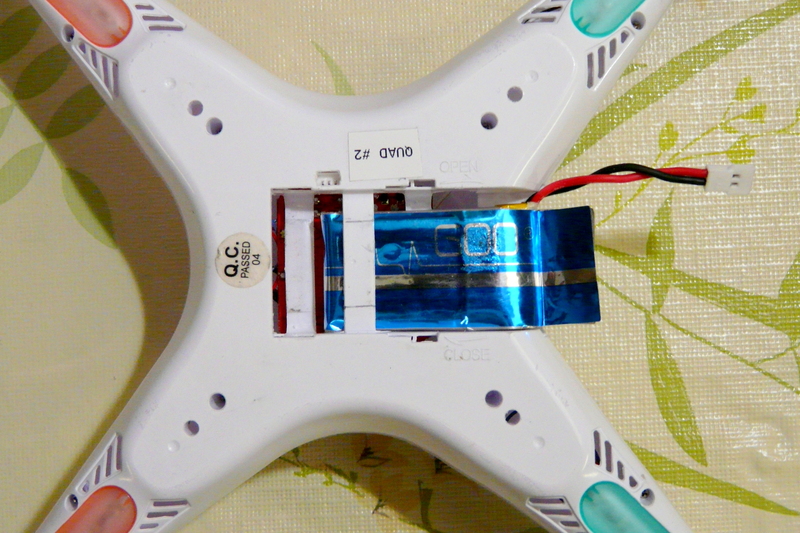 would benefit greatly from this simple, ten minute battery modification. 1” for dimensions and specifications of these batteries. constant frustration and eliminating danger of breakage. the battery as it slides past. 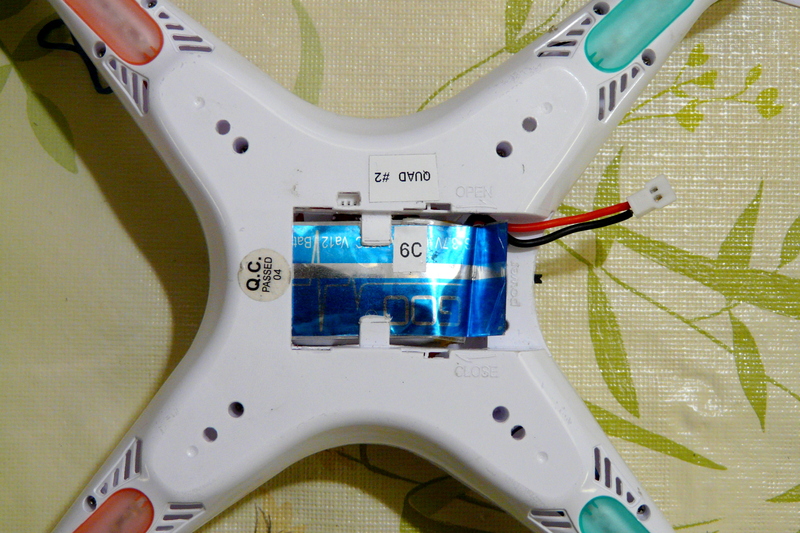 Now that the modification is complete, slide in a problem battery and test how well it fits. no chance of falling out. center of the truss was in the way. improvement of an engineering oversight. Life is good. Indeed had troubles with the 650 mah. So much that I stopped using it. Thought about this but was not sure if it would work. Thanks for this! 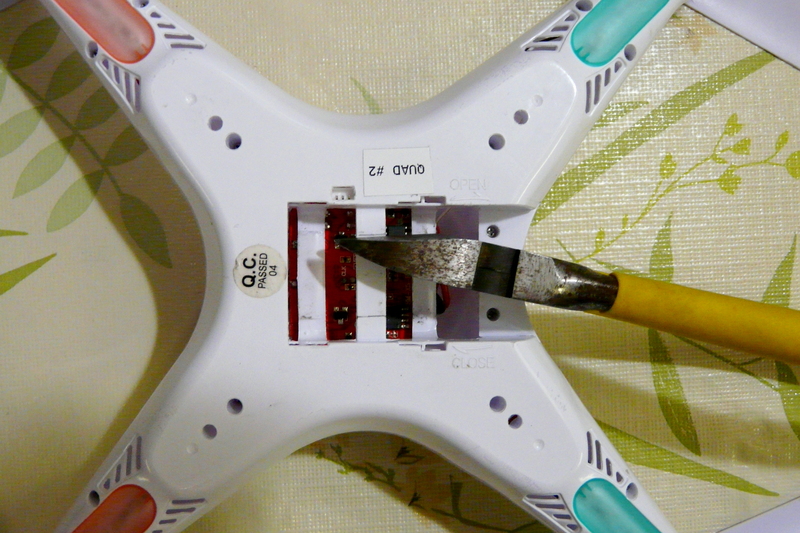 I had dismantled my X5C and was about to cut the circuit board support arms and then glue in extensions, but this worked and was easier! I used a soldering iron to round the edges. I also had to do the same thing to the rear bottom support bar (that is, cut it) and then used hot glue to add support to the circuit board. I am able to fit my 800mah batteries!!! Thank you! This idea was fantastic.